Do not let a traffic violation wreak havoc on your life. Multiple traffic tickets can result in steep fines, costly points on your Motor Vehicle Commission (MVC) record, MVC surcharges, and increased insurance rates. In certain circumstances, such as driving while intoxicated (DWI), traffic violations can even result in jail time. The Tormey Law Firm is a legal team with the experience and knowledge needed to get traffic charges reduced or dismissed entirely in Morristown, Parsippany, Mt. Olive, Rockaway, Madison, and throughout New Jersey. Our traffic defense team includes a former municipal prosecutor, which gives us a major advantage when negotiating for reduced charges because we know how the other side thinks. If you have received a traffic ticket for DUI, driving while suspended, reckless driving, speeding, or another traffic offense in Morris County, contact our Morristown offices today for a free consultation. You can call us at (908) 336-5008 or toll free at (866) 949-6948, or you can use the online contact form. One of our highly experienced Morris County traffic defense lawyers will be happy to review the facts of your case and answer any questions you might have. If you have received a summons or been arrested for a traffic violation in Morris County, you are going to want an experienced traffic offense attorney in your corner. 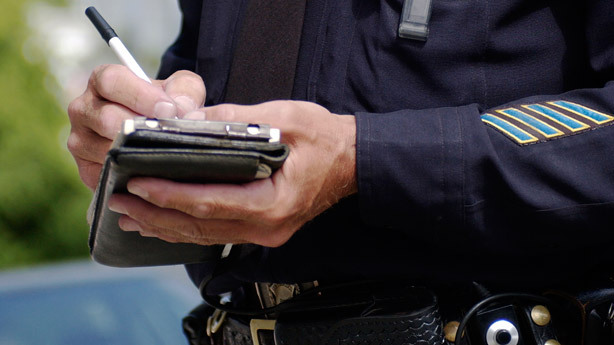 Even if you have only been issued a speeding ticket, it is imperative that you speak with an experienced traffic defense lawyer. Call the Tormey Law Firm today for a free consultation. One of our experienced Morristown traffic defense attorneys will be happy to speak to you and answer any questions you might have. You can call us day or night at (908) 336-5008 or toll free at 866.949.6948, or you can use the online contact form to schedule an appointment.